ECM password generator CAT Caterpillar ET. 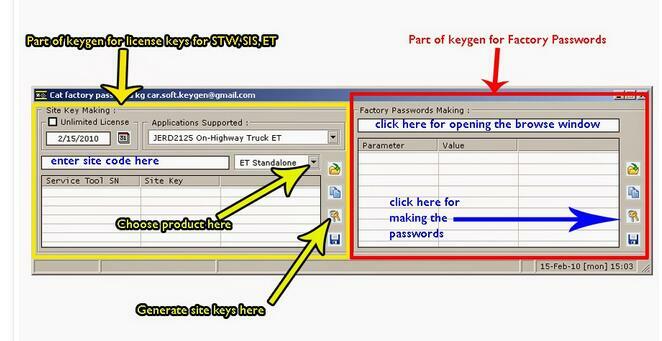 it is very easy to use ,pls follow the pic . and the password Generator does not work because of your OS and cpu. Now Cat et factory password generator can working with your et software, 100% working ,because we’ve created a virtual machine. The Caterpillar Electronic Technician is not limited to engines and generators only. They also manufacture numerous other relevant products like diagnostic devices, tools, equipment and various kind of machine parts. CAT engines and other machines that function electronically can be maintained and diagnosed for different issues using CAT Electronic Technician (ET). The CAT ET is a remarkable product that makes resolving engine issues a child’s play. CAT Electronic Technician or ET is basically a software that is connected with Caterpillar machines through Caterpillar Electronic Control Module (ECM) installed in CAT engines and other equipment. Anyone who wants to diagnose and keep track of specific Caterpillar machines requires to purchase CAT Electronic Technician and then install its software in computer. CAT ET is easy to use software and it is also easy to connect with the respective Caterpillar products. 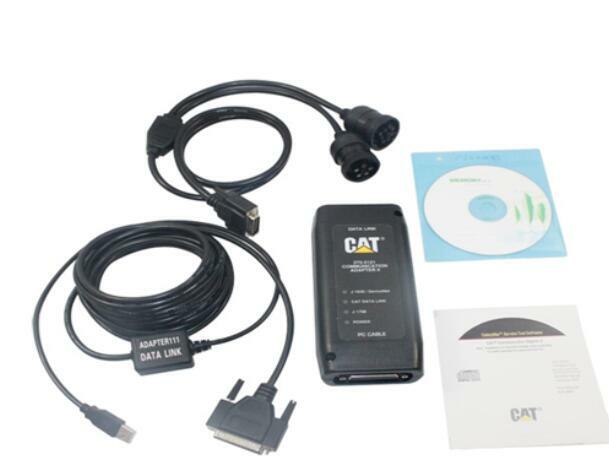 It usually comes in briefcase kind of box which possesses Caterpillar communication adapter II, serial PC cable, data link cable, user’s manual and a software CD. It can give you readings of fuel consumptions. Users can get the chief parameters information of their CAT engine like idle time, distance traveled and operated time. It also exhibits status of fuel flow, throttle position, speed of engine, advance timing etc. It provides instructions about assembly and disassembly of various parts. 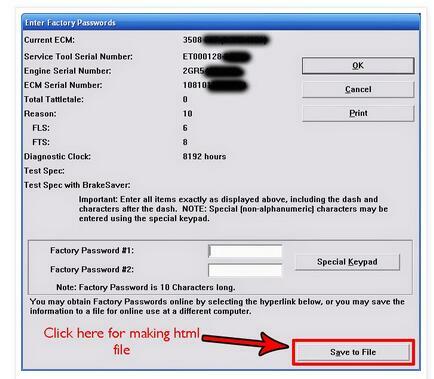 It is also capable of viewing active and logged diagnostic codes. It can be used for configuring Electronic Control Module (ECM). For the assistance of users, search option is also present in it which provides detailed help on every topic searched. It also records data and analysis result for future reviews. It improves the operating efficiency of Heavy Duty Truck Scan Tool CAT equipment by pointing at potential problems as soon as possible. Users can also clear their stored data any time they want. It is a great software for repairing and maintaining the vehicles as it not only has diagnostic abilities but also has the power of displaying other important conditions. Users can also review their fuel consumption anytime and make it optimized according to their budget.